The appetite for non-surgical body contouring has fuelled the development of non-invasive, comfortable and safe solutions for the reduction of fat and improvement of the silhouette. Liposuction successfully reduces fat and improves contour in a predictable fashion, nevertheless there is still a continuous demand for non-surgical and non-invasive methods that may be less dramatic and immediate, and come without the same level of risk and side effects. The number of minimally invasive procedures increased by 137% from 2000 to 2012 in the US.2 These treatments are sometimes referred to as ‘lunch-time procedures’ because they have minimal down time and can often be completed in less than two hours. Patients who are time-poor and do not have the opportunity to recuperate following surgery may select a non-invasive alternative in order to fit with lifestyle factors, or the patient may dislike the idea of having a surgical procedure. Cost can also be a factor; although when larger areas are treated it can often be just as cost effective to undergo liposuction rather than a non-surgical method due to the number of treatment sessions that may be needed. 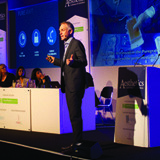 Periprocedural morbidity can be reduced by the use of non-invasive methods such as a reduction in infection, scarring and anaesthesia.3 This article will seek to clarify which methods are commonly available in the UK at the moment and introduce a new treatment modality for non-surgical body contouring which also has some interesting endocrine effects, in the form of a low-level light green laser. 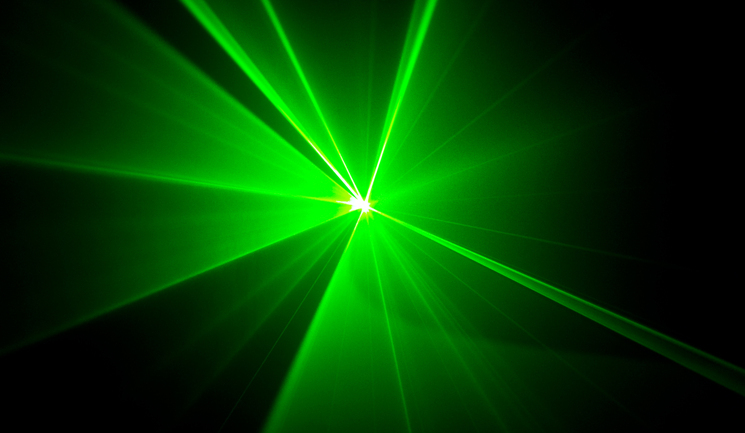 In comparison to the above-mentioned technologies, low level laser therapy is a unique treatment modality because it is not based on thermal tissue damage. The proposed mechanism of action is based on the concept of producing transient pores in the adipocytes, allowing lipids to leak out. This unique method of action is not one that is frequently discussed in the aesthetics industry and knowledge of this technology has not penetrated well. Equally there is little knowledge of this type of equipment in the public domain; therefore this article will seek to highlight some of the benefits and mode of action of this technology. Currently LLLT is used by osteopaths and chiropractors, although it is often regarded with skepticism by the medical profession in general.15 With more research on LLLT taking place, it is becoming an emerging technology in the field of non-surgical body contouring. There are few studies specifically looking at the association of LLLT and leptin, however in one study 22 patients aged 18-65 participated in a non-controlled, non-randomised study and received low level laser treatments (Zerona, Erchonia Medical Inc.) three times a week for two weeks. Fasting leptin panels (a type of blood tests) were performed pre procedure and at two weeks after the final procedure. Patients maintained normal eating and exercise habits throughout the study. There was a mean reduction in leptin of 50%. The mean baseline leptin measurement of 29.49 was reduced to 14.60, a statistically significant change of p=<0.0001(1). Body contouring will doubtless continue to rise in popularity as treatment modalities improve in efficacy and more patients are interested in exploring non-surgical options. It is an interesting development to have a device that has effects on the endocrine metabolism and may have further reaching benefits above those of simply reducing the measurements of adipose tissue in a patient. Further work looking at the endocrine effects of LLLT would be welcomed. There may be some interesting health benefits with this modality as we also see a reduction in cholesterol and triglyceride levels, which could have interesting cardiovascular benefits. Jackson RF, Roche GC, Wisler DK., ‘Reduction in Cholesterol and Triglyceride Serum Levels Following Low-Level Laser Irradiation: A Noncontrolled, Nonrandomized Pilot Study’, 27 (2010). Karu T., ‘Lectures on basic science of laser phototherapy’, Prima Book, (2007). Suarez DP, Roche GC, Jackson RF., ‘A Double-Blind, Sham-Controlled Study Demonstrating the Effectiveness of Low-Level Laser Therapy Using a 532-nm Green Diode for Contouring the Waist, Hips, and Thighs’, Am J Cosmet Surg. SAGE Publications, 31(1) (2014), pp.34-41. Maloney R, Shanks S, Maloney J, Zimmerman E., ‘The application of low level laser therapy for the reduction of adipocyte derived hormone leptin: A non controlled, non randomised study’.